China lathe goes Chinese on me. When steel turns into butter, again. 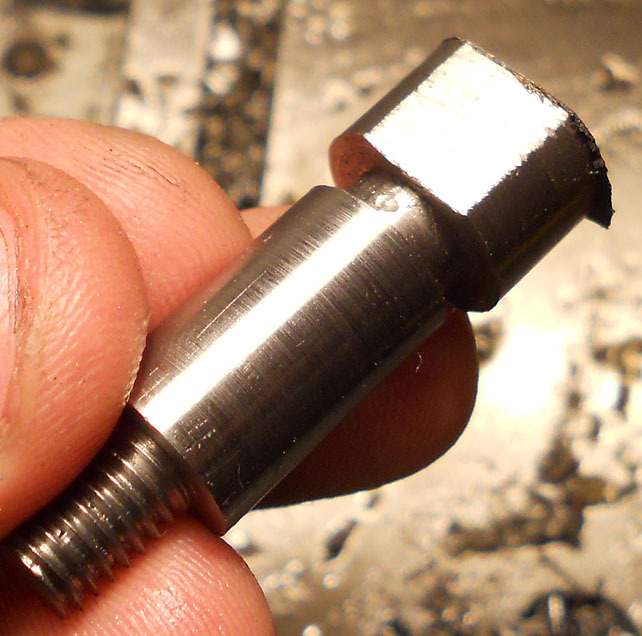 I’m starting to believe the best idea for a chinese lathe, as a first mod or project, would be to replace all threaded parts with proper ones. This is not the first stripped thread on the lathe… And rest assured, any time a thread strips, you lose at least half a lathe – functionality wise. Actually scrap that, the best idea is, if you have the option, not to buy chinese. Buy old iron instead, problem is finding an old lathe that doesn’t have massive wear and isn’t missing most of the parts… So you might need some luck there. Was it made out of rebar? or butter? Since I don’t have any oiler inserts and I don’t plan on making any, the idea of making a new part from scratch seems sketchy as I wouldn’t have a way to seal the oil and prevent gunk from getting inside the port. This part is the shaft for the double transmission gear on the banjo, it transmits power, through the two A and B gears, to the gearbox for power feeding, threading, etc. Without it, you only have half a lathe. The oil port acts as a valve, allowing the oil to only escape through the hole on the shaft, which it does by centrifugal force, allowing a layer of oil to remain in between the bushing of the gears and the shaft itself, reducing friction and wear. 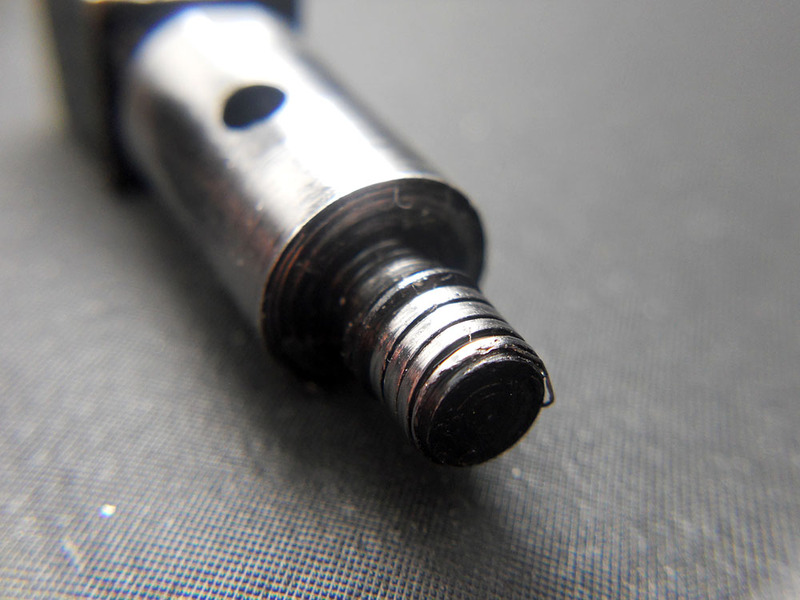 Without the valve, very little oil would get onto the shaft and most would fall off the oiling port. 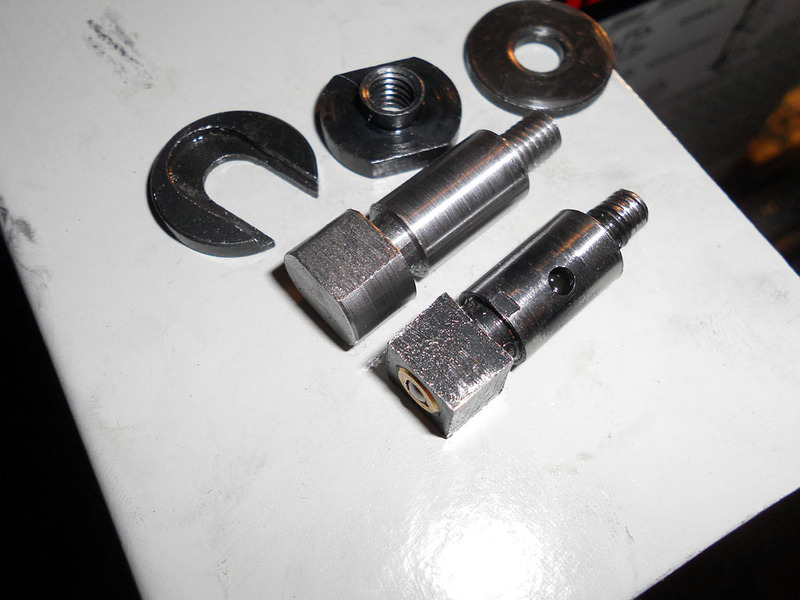 Thankfuly the T-nut didn’t strip, but the thread was slightly damaged and had to be dressed with a tap, it’s been since case-hardened and awaits installation. 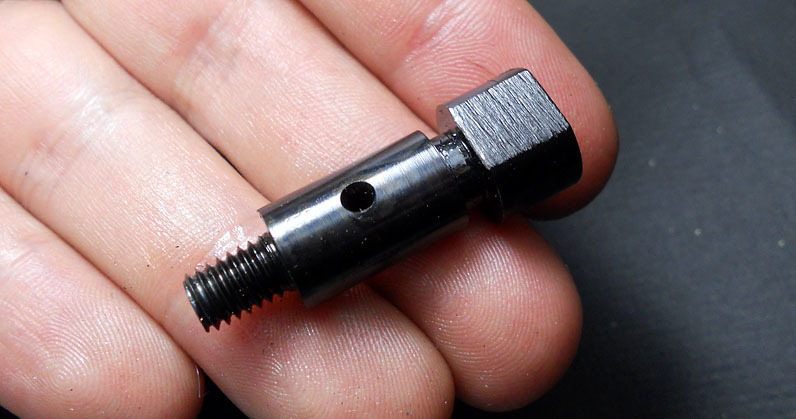 Either I turn down the stripped M6 portion, counterbore the shaft and press a new stud with an M6x1 thread or I make the whole part from scratch using mild steel (I would like to use brass, but I don’t currenly have any stock big enough). Of course we only have a square portion to chuck onto, that means moving onto the 4 jaw chuck and busting out the indicator. One problem though the square part wasn’t milled exactly 90°, it’s all over the place. The second option, make the part from scratch out of mild steel and figure out a way to fashion an oiling port. Contrary to what I thought, and as I’ve mentioned, the square portion was milled flat from round stock, this part did not start life as a square stock. Makes sense, since interrupted cuts are slower in production and you can trade in a bit more material loss over higher productivity time, which means more income in general… Of course, if you use crappy materials, it doesn’t matter how you make the part… it’s always going to be crappy. 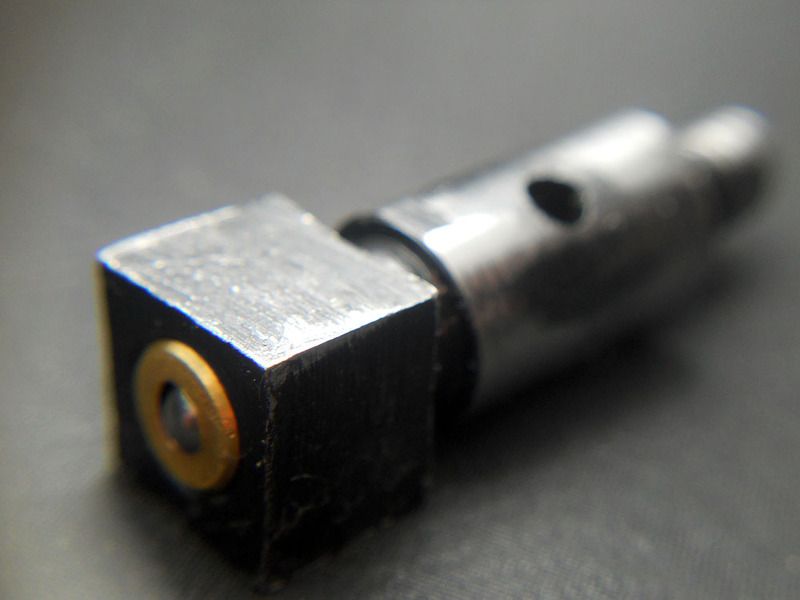 Given the slot near the square portion is to engage another part, which acts as a washer and for lack of better words, a sort of thrust “bearing” or “clamp” which also helps lock the parts in place, the head of the part MUST be square, otherwise the other part would also have to be remade since it’s slotted to fit and slide through the square portion. 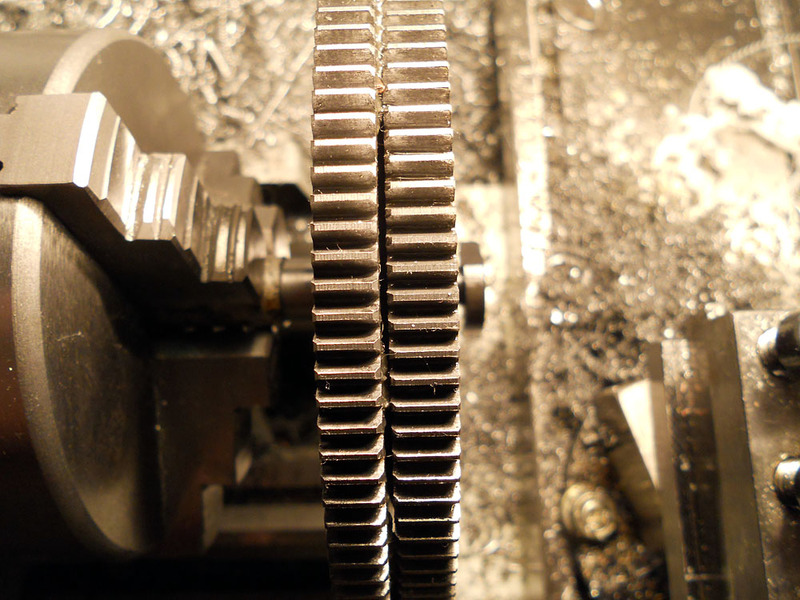 The shaft is 10mm and pennies, turned down for a perfect sliding fit on the gear train (Currently 10.05mm). The threaded portion is M6x1mm however originally it wasn’t long enough to engage all of the threads on the T nut (not shown on pictures). So while I will duplicate the original part, I might make a second part, with my own design. Of course if I could have it my way I would use at least M8 for this, M10 would be ideal. Making due with what you’ve got. For a temporary part, I’m thinking I could skip the oiling (maybe add oil “holes” on the shaft, not through holes, just small pockets throughout to contain oil) and use a slotted head on the end, to fasten the part. This would work perfectly on the short term while I come across better stock or a better design. Now I can’t help but wonder, should I make spares of every part that’s been damaged?, or should I trust my materials and skills?. For now, let’s make a working part, once I’ve got power feed and threading capabilities back, I might turn spares. 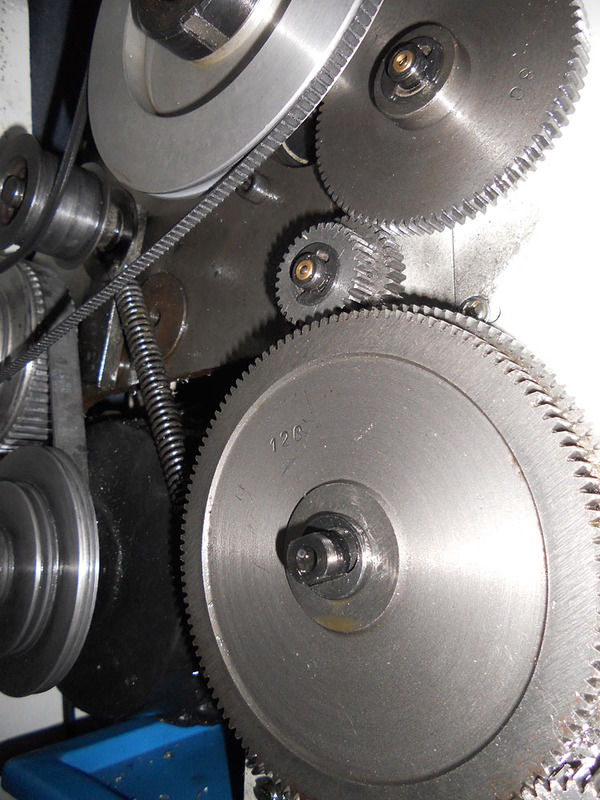 This is not the first time a thread strips on this lathe. Filed the flats, parted with the chop saw. Time to deburr! The almost finished part, next to the original. There’s no real need for all faces to be flat, two are the absolute minimum you need, two is what I did. I faced it on the lathe and deburred the remaining edges with a file. The finished part, Bored the inside, drilled the oil port. Case hardened and black oxide finish. Ready to install! All setup and working! Let’s hope it lasts. A new T nut is in order though. All in all a simple project, but shows how even the simplest parts can fail -one way or another- and cause you a lot of trouble. Once I figure out a simple way to make oiler inserts I’ll most likely be adding one to the new shaft. Next time I will probably use a better material, cold rolled steel isn’t ideal, but it’s what I had. I will probably make spares anyway, including new T-nuts. I have an idea for a different style oiler (gravity fed, bottle style) but out of cheap aluminum, I would ideally use glass with aluminum caps but at the moment I don’t have a source for small diameter glass tubing (8mm or so) and cutting it might end up being problematic. Of course there isn’t a lot of space available and it has to be sturdy and reliable. Ideally the originals could be ordered (I really can’t do that anymore) or made to look alike, but they are rather complicated due to the fact they use a tapered spring and require flat milling on the bore of the part, the right sized steel ball bearings, etc.. Either way, rest assured something cheap and simple will be devised!